Abby is a Midwest girl from central Illinois. She attended Luther College in Iowa where she earned her BA in Accounting. She later settled in San Diego, where she started her real estate career as a licensed buyer's agent for an investment firm specializing in foreclosure and bank owned purchases. Abby and her husband later made the decision that she would be a stay-at-home mom to their 2 little girls, valuing the time as a mom. At that time, her husband traveled frequently with MLB, as the bullpen catcher for the Oakland Athletics. Her passion is helping and serving people, building relationships, and volunteering at her church where her husband now pastors high school students. She is eager to help others walk through the home buying/selling process with integrity, honesty, and strong family values. After growing up as a child in Colorado, Adolfo has spent all his adult life Arizona. He loves to explore our beautiful state. He considers this home. He has spent his Professional sales career developing relationships throughout the Metro Phoenix area. He has performed sales in various industries including home loans, banking and most recently technology. He considers himself an Apple Fanatic! Adolfo has a passion for helping others and looks forward to helping you have a great experience with your real estate needs! Alberto was born in Havana, Cuba. After serving in the Navy, he worked for a very Pristiges Retail Firm for over 30 years, where he learned that “Outstanding Customer Service is Non-Negotiable”. His devotion to his clients comes second to none. His sincerest wish is to always put the needs of each and every client first, and assist them in locating that home where dreams can become a reality. Also, being bilingual, has created a passion to be of incredible assistance to the Latin community. Anna Heron joins us with experience from Wisconsin of being a licensed real estate professional for the past two years, by assisting multiple families in the stressful home buying process. A big life change brought her to the sunny state of Arizona where she fell in love with culture and the people even more. She combines her love for the industry and passion to help others by putting her clients first to ensure they are comfortable and completely understand each step of the buying and selling process. Anna has the knowledge needed to guarantee a smooth and successful experience. She is looking forward to working with you. My Name is Brett Zieske, and I was born in Colorado Springs Colorado. I have been in Arizona for the last 15 years, and I absolutely love this state! I have been in sales and sales management for over 16 years. I have been in the Real Estate industry for two years alongside with other business ventures. My favorite hobbies are helping others, golfing, cars, working out, traveling, and hanging out with friends and family. My favorite sports teams are the Denver Broncos, Arizona Cardinals and the Colorado Rockies but I do enjoy all sports & friendly competition. I do not have any kids, but I do have three dogs which keep me busy. Their names are Buddy, Missy, and Charlie. 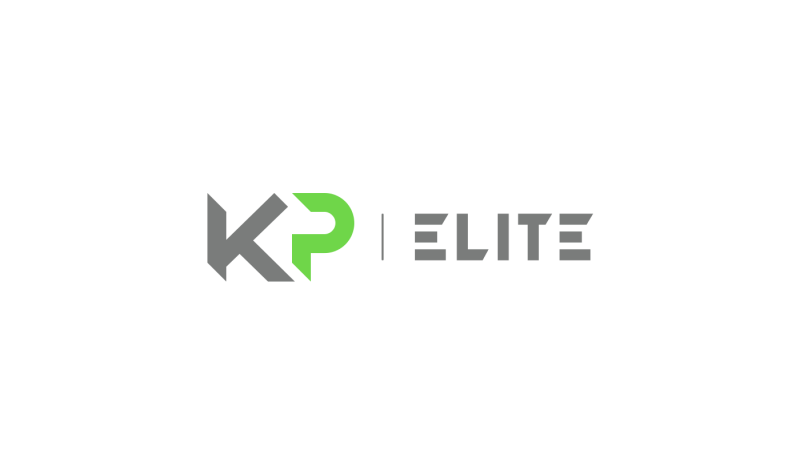 I enjoy working for KP Elite because of the quality of people and innovation that we bring to the industry. This company always goes above and beyond to make sure the clients experience is nothing like they have experienced buying or selling a home! We pride ourselves in making our clients part of our family. Grew up in the pacific northwest but decided to come down to sunny Arizona for college. I realized shortly into college that my real passion was helping families find their dream homes and I've strived to make that dream a reality ever since. Went to ASU in 2015. DeVohn arrived in Arizona in 1993. Where he started his professional baseball career with the San Diego Padres as a 14 round draft pick. Originally from Jersey City, New Jersey, DeVohn decided to move back to Arizona in 2001. DeVohn attended New Jersey City University in 1997. Then spent the next 12 years as a salaried manger for Walmart Stores Inc. Studied Real Estate at Chandler Real Estate School in Chandler Arizona. As a licensed professional Realtor his attention to detail, passion, and relationships with his clients. Allows him to put his buyers and sellers in the best possible situation. DeVohn is a member of the KP Elite team at EXP Realty. A member of Sevrar and the National Association of Realtors. Excited about exceeding the goals of my clients and being an asset to the community. Jeneise has lived in AZ for 10years, having traveled all around the US, helping people find their passions in life and obtaining their goals. Jeneise epitomizes integrity, energy and hard work in every detail of your real estate transaction. Jeneise has been trained and inspired by some of the top producing agents in Arizona. She has learned many marketing and selling attributes that are sure to set her out as a top excelling agent. She is committed to providing unparalleled service to her clients at all times. Jeneise is a mother of four amazing children, married to a successful business man, who supports her in accomplishing any goal. She is very active in her community and enjoys spending time with her children. Keith Anderson is a founding co-owner of KP Elite. His passion has been building relationships through the art of communication his whole life so it was only fitting to enter the Real Estate market. Being in sales since 2010, Keith entered Real Estate on a team setting learning and growing in the field every way possible. After only 6 months he became the senior listing agent on the team leading in market share and closings. Seeing the Potential to grow a team of his own, Keith joined visions with Peter Kamboukos and created KP Elite! Their teams sole focus is to provide an unparalleled service to their clients and be assets the community! Melissa Ward has always had a heart to serve with a background in Law Enforcement and Medical. Her passion to serve continued as she pursued Real Estate. She understands the value of hard work, dedication, professionalism and the importance of building relationships. Rosann was born and raised in the state of Georgia. She and her husband have lived in California, South Carolina, Arizona, Oklahoma and now call Arizona home. She has spent the past thirty years working in sales and the real estate community. Rosann takes pride in developing strong working relationships with her clients and is dedicated to finding the “perfect fit”. Whether it’s for families looking in purchasing a home or someone who wishes to place their home on the market. She and her husband enjoy, home remodeling, culinary arts, gardening and spending time with family. Long time resident of the valley. Moved to Arizona in 1982. Has a passion for helping others achieve goals in life. Lifetime learner, who is always want to learn new things. Has a Masters in Business as well as in music. Plays guitar for fun and professionally. If you want a house that rocks... get a realtor that rocks. I am your rock and roll realtor. Pete Kamboukos is an Associate Broker/Owner of KP Elite Team at Revelation Real Estate. Pete has been in the real estate industry since 2003 and has a background in finance and mortgages with a Bachelor's degree in Finance. Pete began his career by being one of only 12 graduates out of over 5,000 applicants nationwide to be selected for a management training program for one of the largest new home builders in the country. He quickly worked his way up through the ranks and within two years was traveling to locations across the country helping turn around struggling branches. In 2005 Pete came back to Arizona to focus on real estate sales. Since that time he has worked with everyone from large developers and investors to first time home buyers just starting out. With his knowledge and experience Pete makes sure his clients are always informed and educated on the market and set up for success. Whether buying or selling Pete will be there to guide you through every step of the process from beginning to end. Garrett has lived in AZ for over 15 years, solely in the east valley. All of his work experience has centered around helping others, from helping people keep in touch and be productive to helping businesses utilize technology to communicate and grow. He has spent the last 10 years helping people make one of the most important decisions in their life; that of buying a home. A lifelong passion for kids, and a wife with the same, has also led him to become a foster parent. With over 19,000 children in the foster care system, the need for support of these children and families is constantly growing. Garrett is committed to being part of this community and giving back by making a donation after each closing to one of three local non-profit organizations that provide much needed support: Arizona Helping Hands, Arizona Friends of Foster Children, and Arizona Donations for Foster Families.